Apple doesn't hesitate to trumpet its successes, but its first public acknowledgement of iPad mini sales is mostly notable for how much it doesn't say. Apple® today announced it has sold three million iPads in just three days since the launch of its new iPad® mini and fourth generation iPad-double the previous first weekend milestone of 1.5 million Wi-Fi only models sold for the third generation iPad in March. Apple sold three million total retina iPads its opening weekend in March, but was available in only 12 countries. The iPad mini and iPad 4 were available in 34 countries at launch (and are two products, not one), so it's not exactly an apples to apples comparison. 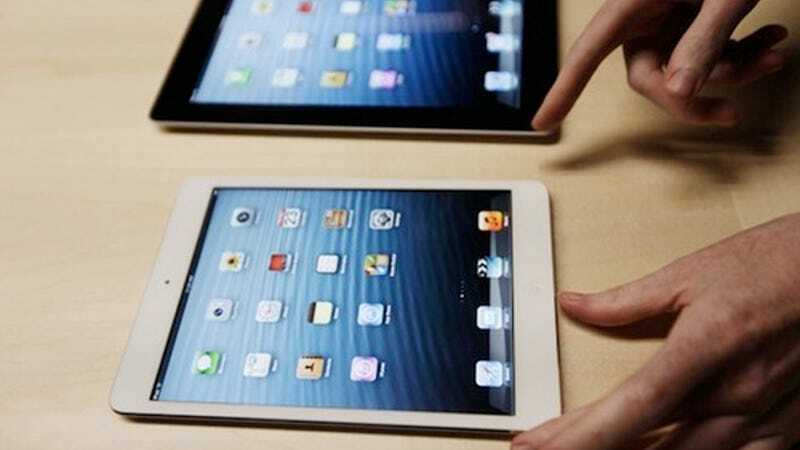 Update: Apple has confirmed with AllThingsD that the three million number includes only the current-generation iPad and iPad mini.